Most developing countries are generally characterized by some problems such as limited resources and professional isolation in the health area. Information and Communication Technology (ICT) is supposed to give solutions through the use of e-Healthcare technologies. Information and communication technologies are valuable tools used to establish and maintain connections within and between healthcare providers, and between healthcare providers and Patients. Telehomecare evolves constantly. It can aid disabled persons, increase patient compliance, enhance caregivers' effectiveness, and connect socially isolated individuals to their care providers. Various research works have investigated different aspects of ICT in the context of telehomecare in some developed and developing countries. 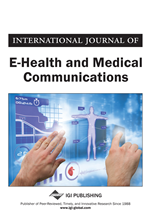 This paper describes an architectural framework for the development of telehomecare in Algeria for diabetes measurement and remote monitoring. Information and Communication Technologies (ICT) are important in facilitating communication and sharing information among stakeholders for telemedicine and especially for TeleHomeCare (THC). Telemedicine in homecare, or telehomecare, uses modern technologies to enable the communication and the transfer of information between the health care provider at the clinical site and the patient at his/her home. In THC, the patients conduct their interactions with their health care providers in their own homes. Telehomecare is an emerging field that will benefit homecare providers and their patients. It does not replace in home care visits, but is used primarily to augment current services. Most countries are now facing an urgent requirement to provide appropriate retired home environment solutions for patients and allow them to stay at their own homes. Partial solutions for specific case studies of THC system are described in (Nourizadeh, 2001). According to (Koch, 2006) most developed countries are facing important overall problems regarding healthcare services, such as: (i) increased demand of healthcare due to an increased number of elderly and changed life styles leading to an increase in chronic diseases (ii) demand for increased accessibility of care outside hospitals, moving health services into the patient’s own homes (iii) need for increased efficiency, individualization and equity of quality-oriented healthcare with limited financial resources (iv) difficulties of recruiting and retaining personnel in the healthcare services in general and in home and elderly care in particular. At the same time, there are several problems in homecare service in Algeria, such as: (i) current solutions based on manual note taking are slow (ii) obstacle to real-time data access (iii) medical staff is not up to date on the state of the patient (that curbs the ability of clinical diagnostics and monitoring) (iv) slow and laborious process of homecare (v) time consuming (vi) traditional data storage mode is not conducive to the sharing of resources. Therefore, there cannot be information sharing among all the stakeholders. In Algeria, health-care in most remote rural areas is provided by simple clinics staffed by nurses, perhaps with an assistant. There is a serious shortage of medical specialists such as doctors and nurses in such areas. Patients cannot see a doctor or visit a hospital whenever necessary. Besides the infrastructure for health research in Algeria resides generally in the public sector. High cost of THC solutions. Lack of patients’ awareness and acceptance of receiving healthcare services via THC networks and applications. Lack of uniform standards for data-sharing: Unified format and content of data storage are the basis for communication between systems. Information classification and data standards are not strictly uniform. Security, safety and privacy of data exchange. In this paper, we propose a global architecture for THC, adapted to the concrete needs of the homecare in Algeria with a case study of diabetic persons. This architecture allows the sharing, the fast and supple exchange of information, and opens new perspectives of THC in Algeria. Besides helping in saving costs, encouraging the treatment of patients at their homes may also reduce loneliness and the stress they suffer during a hospital stay. An important point is to overcome the problem of the unavailability or lack of health personnel. The remainder of this paper is organized as follows. Background and related work is detailed in Section 2, followed by the architecture of the proposed system in Section 3. Public cloud supporting THC is detailed in section 4 and communication and tools in section 5. The prototype implementation is described in section 6 and discussion and evaluation in section 7. Finally, a conclusion with a view to the future is given in Section 8.